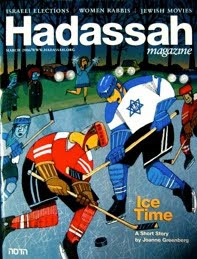 Shabot 6000 has been mentioned in the March 2006 issue of Hadassah Magazine! See Brief Reviews on page 66, for a short and sweet write-up in the Web Sighting section. Special thanks to Leah Finkelshteyn for the blurb! That Leah Finkelshteyn is she Jewish? why do you care? anything personal against her? Now my Granny in Boyton Beach Florida will know about ShaBot! I will definitely shoew her your site.